Holiday.gr - Faros, a trip to a myth! 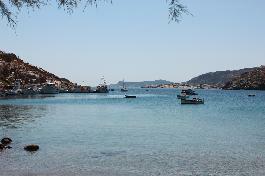 Faros is the most graphic fish village in Sifnos. It located 7km southeastern of Apollonia. It is the safest and best- protected from the winds port of the island, as it is surrounded by three capes (Faros, Glifos, Fasolou). On these is built the coastal settlement. The homonym beaches are famous for their shallow waters. In the port’s entrance is built the monastery of Stavros. The view from up there is magic. 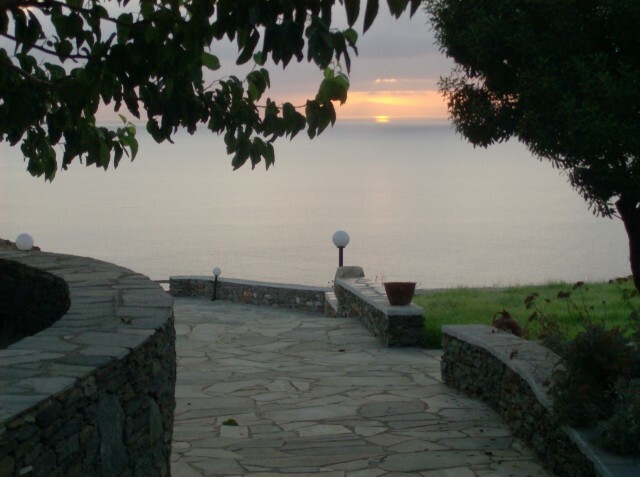 There are rooms to let in Faros. In the taverns of the region you will taste delicious traditional recipes and fresh sea-food. Been to Faros ? Share your experiences! This is definitly a nice place for a couple of days. The beaches are sheltered from the wind and waves. The local restaurants were a disapointment with one exception the restaurant closest to the monastery, a 15 minute walk from Faros.